Anders has a recurring dream of a locked door bound by chains. His subconscious is hiding a dark secret... and he must discover it. 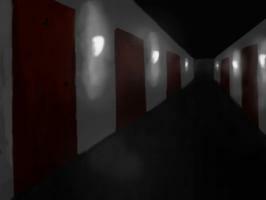 Morphine is an innovative, psychological noir point-and-click adventure game where players influence the main character's lucid dreams by controlling his sleep cycle. Looks to be an interesting project, albeit not really my cup of tea. Still if development continues this promises to be an atmospheric and tense experience.